If there's anything a Doctor knows how to do, it's run. And now, a Doctor will be running right through Torchwood's hometown carrying the Olympic torch. The BBC's Doctor Who Twitter account confirmed today that Matt Smith will be carrying the torch through Cardiff on its globe trotting trek before it returns to Britain in late July. Do you realize what this means, people?!? DOCTOR WHO IS REAL. Kind of. 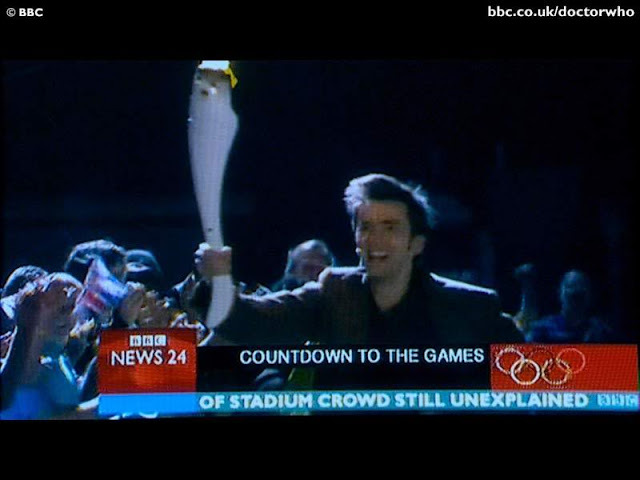 Fans of the show will remember the Tenth Doctor carried the torch in series (season) two episode "Fear Her" when he and companion Rose visited the 2012 Olympics in London. OK, sure. It's the Eleventh Doctor instead of the Tenth but it's still AWESOME! 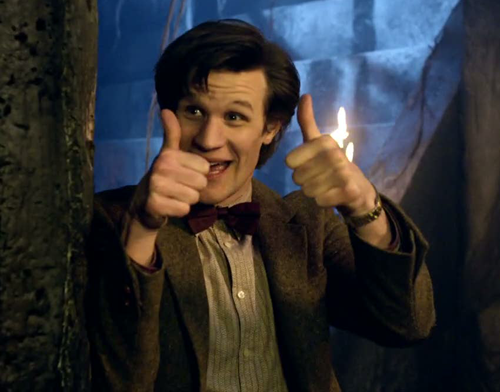 The games won't officially begin till July 27 but, for Whovians, it started six years ago. Did you see the mini-movie where...well, spoilers. But I found it on IO9 and it was so DAMN cute!